This is a brand new luxurious oceanfront condo located on the lobby level of the Royale Palms resort. No elevators to hassle with, and direct access to the lobby of the Hilton Hotel. There is a Starbucks, a convenience store and other amenities located in this Hilton lobby. Our unit Features 3 bedrooms, 3 baths, living room, dining room, complete kitchen with granite counter-tops upgraded maple cabinets and stainless Steel appliances. 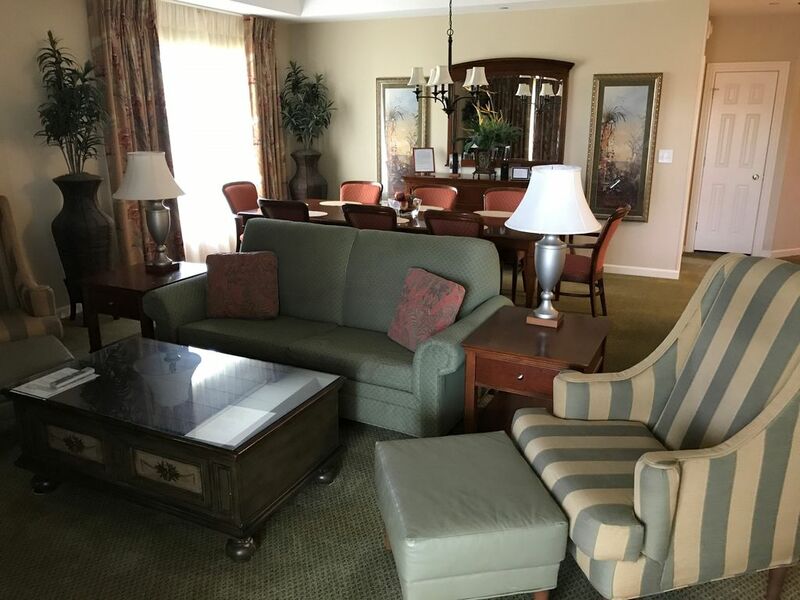 This condo is absolutely the best Myrtle Beach has to offer. From the manicured grounds to the marble lobby entrance you will be surrounded by luxury. The master bath features a separate tub & shower with double bowl vanity along with granite tops. Royale Palms offers a large sand bottom pool and several hot tubs. Private cabanas(optional rental), a large Tiki bar and outdoor music are just a few of the great outdoor amenities. Kingston Plantation is a private 145 acre beautifully landscaped resort complete with walking paths and lakes. It features secluded beaches and several bars and restaurants along with 24 hour security gated entrance. Kingston is a great location to all of Myrtle Beach's attractions including the new Hard Rock theme park and upscale shopping and restaurants opening soon for the summer season. GREAT LOCATION, BEAUTIFUL VIEWS, FUN ACTIVITIES MAKE THIS UNIT A PERFECT PLACE FOR YOUR NEXT VACATION. My wife and I live in Warren, OH. I am a National Sales Manager for a large distribution company, and my wife is an accountant and office manager for a doctor's office. My wife and I graduated from the University of Maryland, College Park. We have three children who reside in North Carolina, one in Raleigh and two in the Charlotte area. Our two youngest children just graduated from High Point University and decided they preferred the southern winters over the winters in Northeast Ohio. (Smart Kids). We enjoy Myrtle Beach for it's large beaches, good restaurants, and laid back environment. The kingston Plantation is well managed, the grounds are impeccable and the properties are well maintained. The amenities at the Royale Palms are great. In the morning you can walk to breakfast, get coffee at Starbucks and get a paper without leaving the building. WOW thats nice.... The gated community only adds to the value. Having direct ocean access in a large well built building is great. I love the fact that I do not have to fuss with the elevators, just walk out of the unit down the hall and I am practically on the beach. I love having live entertainment pool side during the summer months. I enjoy having waitress service at the pool, and the ability to get a cocktail at the pool lounge. Vacations should be enjoyed. I do not want to work very hard to have a great time. The Royale Palms combines the best of all worlds, offering great amenties, great service and loads of conveniences for the owners and their guest. Plenty of parking in four story parking garage. No limit to the number of vehicles. Large table with seating for 8. Island seating for 4 in kitchen. Deck off living room and the third bedroom. I am glad you enjoyed your stay. We look forward to hosting you next year. The unit location and the complex in general are fantastic, but the unit and the furnishings are dated and could use some upgrades. Overall great place to stay and great experience. Just a couple of small things such as bulbs were out on front porch and locks were difficult to open with room key, but maintainence personnel and other tenants said this was common on other keyed doors in the building. Spacious rooms. Nice beds, furniture, and nice TV's in each room. Nice kitchen.